The cricket nets have been brought down and excavation works commenced at Cross Park in Roleystone. 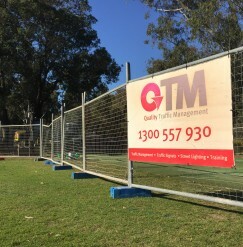 Quality Traffic Management (QTM) is managing the joint City of Armadale and Roleystone Karragullen Cricket Club project, with many local businesses contributing to the construction of the new, larger, four-net facility. The project will see the dismantling of the existing cricket nets, removal of existing car parking, the excavation of approximately 500 cubic metres of soil, construction of a limestone retaining wall, new concrete pad, installation of new crickets nets and a powered shed to house the clubs bowling machine. Operations Manager, Matt Bendall, who is project managing the upgrade, says the generosity of many local businesses has ensured costs have been kept to a minimum. “QTM is proud to be one of the many local businesses that are contributing to this project which will give the community a fantastic sporting asset for many years to come,” he said. QTM, who are also a major sponsor of Roleystone Karragullen Cricket Club, are expected to complete the project by mid-November.